Eibar vs Real Valladolid predictions for this Sunday’s game in Spain’s La Liga as the visitors aim to end a worrying losing streak. Read on for our free betting tips and predictions. Eibar meanwhile score plenty at home. They average 1.79 goals per home game in front of their own fans in La Liga this term which is a very good record. They’ve scored 3 or more on 4 separate occasions and have enough attacking quality to cause problems for struggling opposition. Given that backing Eibar to score over 1.5 Goals could be worth considering. Going for Charles to score anytime could also be worth a punt. The Brazilian striker is having a cracking 2019 and has moved onto 12 goals for the season in La Liga at an impressive average of one every 109 minutes, a very decent return by anyone’s standards. Eibar and Real Valladolid drew nil-nil in their only previous LaLiga meeting in the reverse fixture this season in November. Eibar are winless in their last three games against Real Valladolid in all competitions (D2 L1), two in Segunda and one in LaLiga. Their last win against the Pucelanos was in Segunda – 2-1 in March 2005. 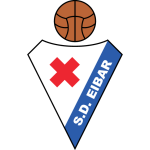 Eibar are unbeaten in their last ten home games in LaLiga (W5 D5), their best home streak in the top-flight, keeping a clean sheet in four of the last five. Real Valladolid have lost their last four away games in LaLiga, three of them failing to score a single goal. They have not lost five consecutive away games in the competition since May 2009 (5). Real Valladolid have scored the fewest opening goals in LaLiga this season (five, W4 L1). Eibar have a scored a league-high 20% of their goals via penalties this season (7/35). Charles Dias is the only current Eibar player to have scored against Real Valladolid in LaLiga, doing so in April 2014 as a Celta player. Nobody from the current Valladolid squad has scored against Eibar in the top-flight. Charles Dias has scored eight of Eibar’s last 12 home goals in LaLiga (66.7%). Real Valladolid‘s Rubén Alcaraz has been involved in three of Real Valladolid’s last four away goals in LaLiga (two goals and one assist). 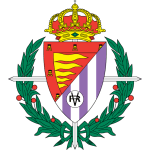 Eibar’s José Luis Mendilíbar has only lost one of his six managerial games in all competitions against Real Valladolid (W3 D2) – 1-0 in charge of Osasuna in LaLiga in November 2012.